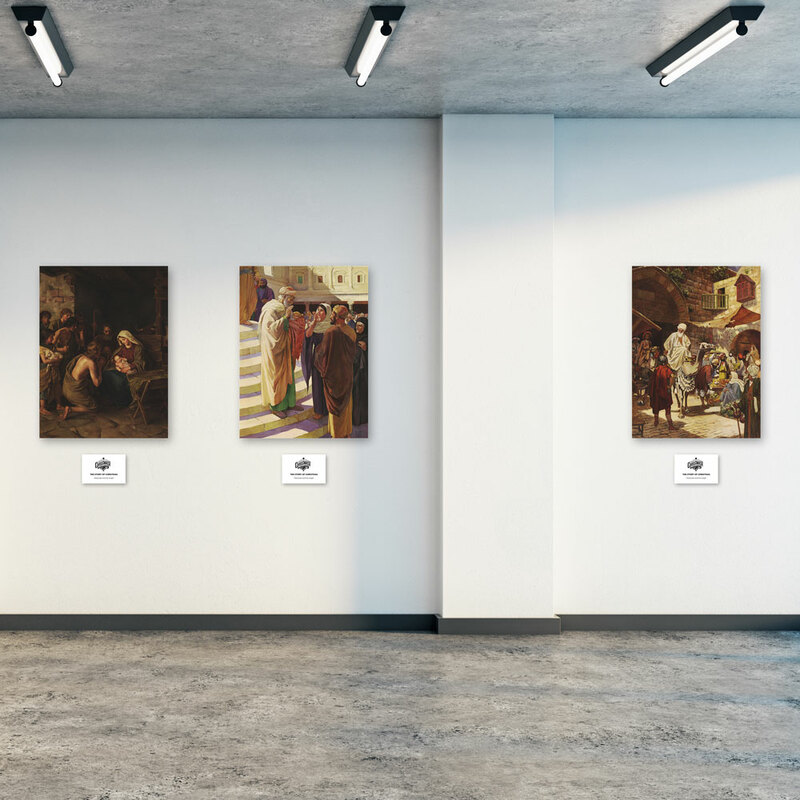 Invite your community into your church for a unique Christmas experience - telling the story of Christmas through canvas art prints. It’s a great family outreach - your church can set up the display the first week of Advent and invite people to tour the exhibit with their family, so children and adults can learn more about the story of Jesus’ birth together! 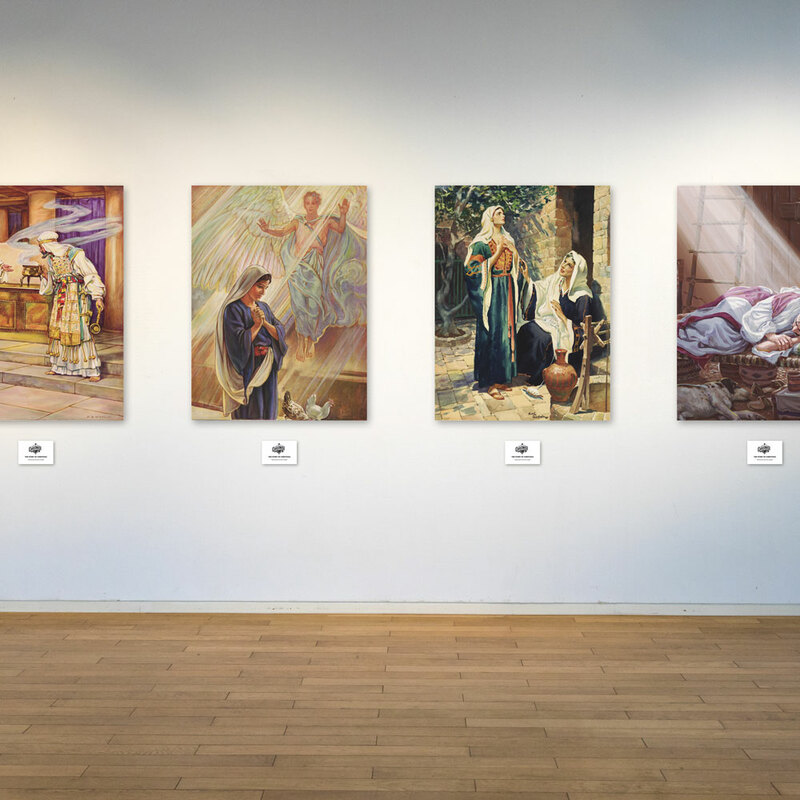 This collection contains twenty 18” x 24” canvas prints, each beautifully depicting key moments in the miracle of Jesus birth, and includes descriptive cards to go with each print. Quantities are limited so order early! 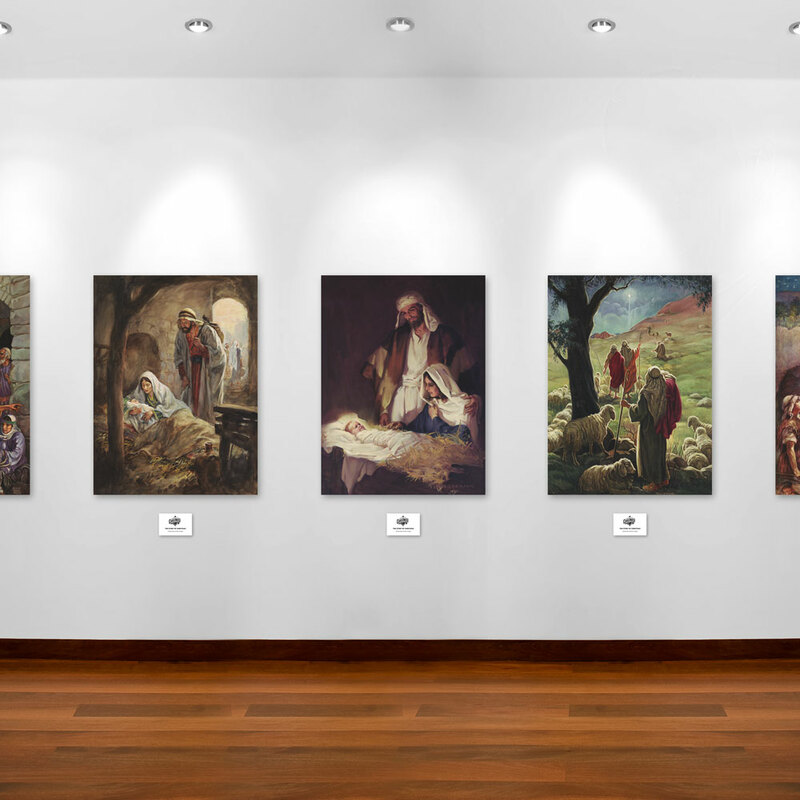 Set up your gallery of prints along a hallway, in a classroom or worship center or on a free-standing display wall.